Dies Irae is FREE for a limited period of time. The long and beatiful interview "Trascendenze dark-wave" for Ondarock, the N.1 italian music webzine [in Italian, with an English translation]. Read the interview in the INTERVIEWS section. "“Dies Irae” is perfect in every way one chooses to look at it, displaying an incredibly elevated level of technical achievement, in vocal performances as well as orchestrations and execution [...]. Whatever musical influences are discerned in the beginning are quickly put away, as this recording stands out in its own right as one of the best in the genre. Genuinely emotional music that burns bright to the heart’s very core, casting off all layers of superficiality with a remarkable ease, as precise in its certainty as is the calling of true, sincere faith. The experience is similar to a personal revelation, and in that sense it remains true to the origins and purpose of religion. Regardless of the beliefs you hold it is impossible not to be moved by it." 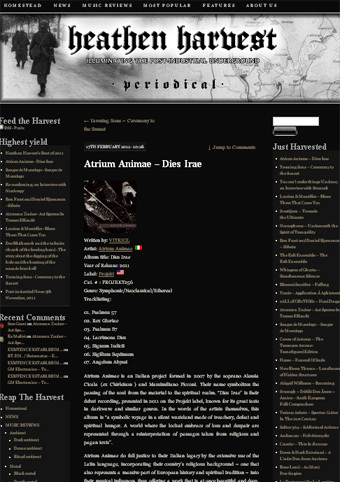 Started in 2003 as a column ("The Heathen Harvest Music Review") of the "Radical Faeries Digest" print magazine, Heathen Harvest is a reference point of the post-industrial, neoclassical, neofolk movement. Read the review in the REVIEWS section. "Now this is not something you see everyday"
Carpe Nocturne Magazine is an on-line publication of Enlightened Darkness Publishing. 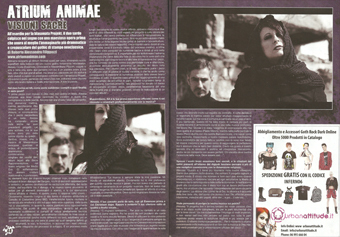 Another fantastic interview "Anime Inquiete" [in Italian] this time for Ritual Magazine. 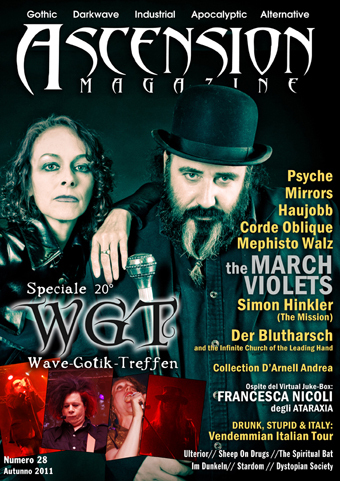 :RITUAL: is the first and only official Italian magazine dedicated to the dark, goth, electro, industrial, ambient, black metal and avantgarde music, scene and culture. Out every 2 months in 25.000 copies. Read the review/interview in the INTERVIEWS section. 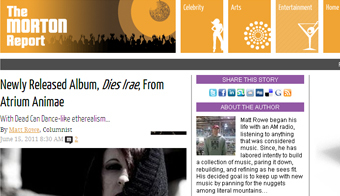 "Dies Irae" is in TheSkysGoneOut, TSGO 2011: Top Twenty Goth/Darkwave Albums of 2011, the twenty best Goth and Darkwave albums of 2011. 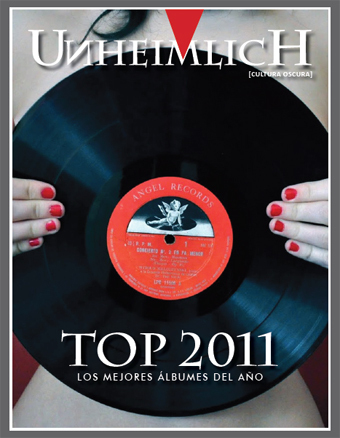 "Dies Irae" is featured in the Top 2011 issue of the Argentinian magazine UnheimlicH Magazine. Read the review in the REVIEWS section, and download the PDF. 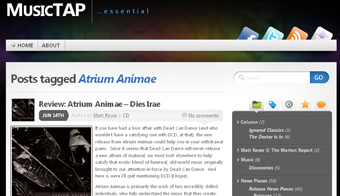 "The Italian band Atrium Animae was formed in 2007, their name is “considered as a symbolic representation of the passage from physical world toward an immaterial world.” The heavenly soprano of Alessia Cicala, a member of the band Chirleison, partnered with the compositions of Massimiliano Picconi, together create music on their debut “Dies Irae” that is stately in its atmosphere, a sacred enveloping that is almost funerial in outlook. Or as the band’s promotional material puts it: “A symbolic voyage in a silent wasteland made of treachery, defeat and spiritual hunger. 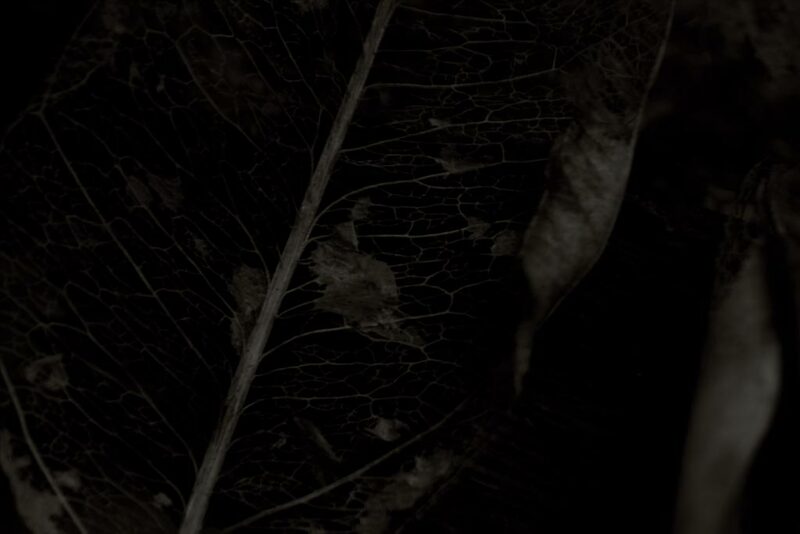 A world where the locked embrace of loss and despair are represented through a reinterpretation of passages taken from religious and pagan texts.” Sublime, and an excellent addition to the genre of neoclassical darkwave." 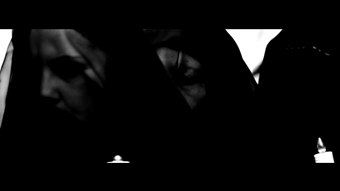 Our first official video “Rex Gloriae”, from the album “Dies Irae” (Projekt Records) is now online. This video is dedicated to Barbara Cicala, the contralto voice of this song, who lost her long battle against a rare form of cancer on November 15, 2011 at the age of 35. 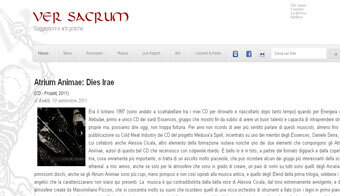 "Dopo il grandissimo successo di critica del loro splendido album neoclassico-sinfonico Dies Irae (Project Records) presso le migliori testate rock, metal e goth europee, il duo cagliaritano ATRIUM ANIMAE faranno uscire il 1 di Dicembre 2011 il primo video tratto da suddetto lavoro, Rex Gloriae, che Rockerilla è orgoglioso di presentare in anteprima." 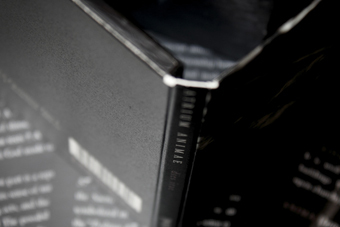 Todo melómano que ame, cuide y mime su colección discográfica privada para su apasionado disfrute, debería tener una edición original de “Dies Irae” si desea seguir teniendo en sus manos a la crème de la crème de las mejores ediciones góticas publicadas en las últimas décadas. 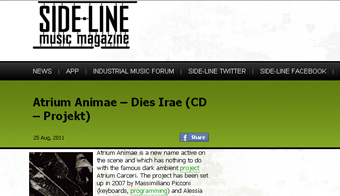 “Dies Irae”, con este álbum, Atrium Animae ha creado un excelso trabajo destinado a convertirse en la indiscutible referencia musical dentro de la escena neoclásica más innovadora para los próximos años." LOUD! Magazine is the Portuguese market leader in the metal press, in continuous existence for 10+ years, more than 125 issues published. 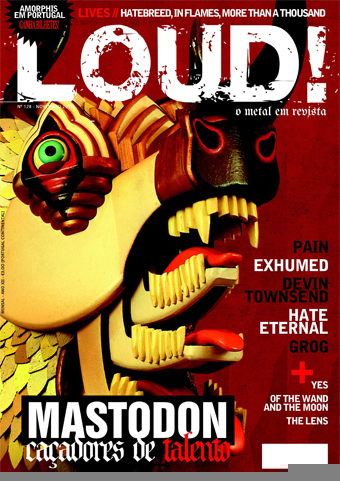 It is the monthly reference for every Portuguese metalhead, with a national covering in distribution 10.000 circulation. "Sette brani (come i sette peccati capitali, come i sette sigilli), un numero magico scelto non a caso, nei quali le voci si fondono in un amalgama perfetto"
"Un tombeau des espoirs qui a la beauté d'une cathédrale." "Un disco di elevatissima qualità che non esiterei a consigliare a chiunque sia affascinato dalle sonorità di cui abbiamo fin qui parlato..."
Read the review in the REVIEWS section or on Ver Sacrum. 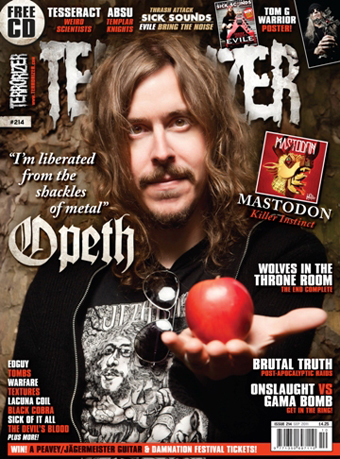 "Alessia Cicala's vocals could teach the current plague of symphonic metal bands much..."
Terrorizer is the world's most authoritative extreme music magazine since 1993. Read the interview in the INTERVIEWS section or on Darkroom Magazine. "I can’t remember to have ever heard a ‘darker’ release on Projekt [...] 'Dies Irae' is from a pure musical point of view still surprising. Music and vocals together are in perfect balance with each other [...] A terrific debut CD maybe revealing the latest sensation from Italy". "Side-Line" [Belgium], a daily updated news site on gothic, electro and industrial music, reaching 65.000 music fans per day. Read the review in the REVIEWS section or on Side-Line magazine. 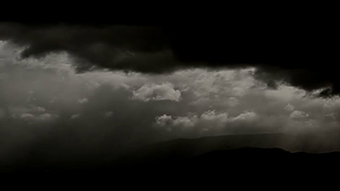 "It’s strangely refreshing to hear the apocalypse transmitted with such haunting beauty." "The Big Takeover" magazine, a bi-annual music magazine published out of New York City since 1980 with most recent issues coming in around 200 glossy pages. Read the review in the REVIEWS section or on The Big Takeover magazine. Read the review in the REVIEWS section or on Rosa Selvaggia. 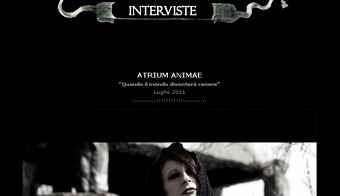 Another amazing interview "Il Mediterraneo mistico degli Atrium Animae, tra onde sonore e profumi antichi" [in Italian] this time for Sounds Behind The Corner. Read the interview in the INTERVIEWS section or on Sounds Behind The Corner. "L’espressività e coesione del lavoro è assolutamente perfetta: ogni nota riporta ai perenni, desolati orizzonti di uno spirito travagliato da tormento, rimorso e disperata tristezza; ogni bagliore sinfonico sprigiona l’onnipresente, anelante tensione verso il misticismo trascendentale. 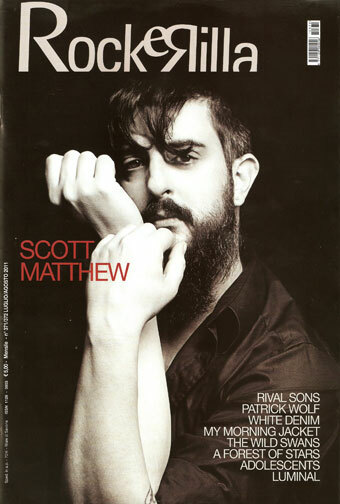 (8/10)" Rockerilla Magazine n.371/372 July/August 2011. ROCKERILLA MAGAZINE (legendary Italian rock magazine, printed) is a rock magazine with a difference: it began in 1978 as a punk zine and developed into a Bible for all the alternative music lovers in Italy, its 80s covers being absolutely legendary, from early Cure and Joy Division to The Sisters of Mercy, Danzig and The Cramps. Today Rockerilla uniquely covers a huge spectrum of alternative music, books and contemporary art, and features about 60 pages of reviews. 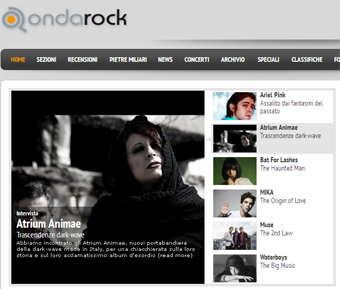 Our interview "Quando il mondo diventerà cenere" [in Italian] for Spectra - Decadent Music Website. Read the interview in the INTERVIEWS section or on Spectra - Decadent Music Website. We wish to thank Jason Pitzl-Waters for this beautiful and complete article on The Wild Hunt. Music Mondays. 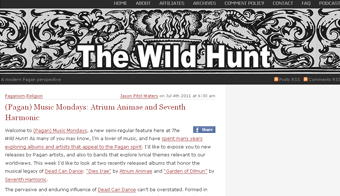 Read the articlein the REVIEWS section or on The Wild Hunt: Music Mondays. "The album has a lot to offer and has superb vocals backed up by an orchestral way of thinking which means they don’t do things by halves." Rating: 9/10 ! 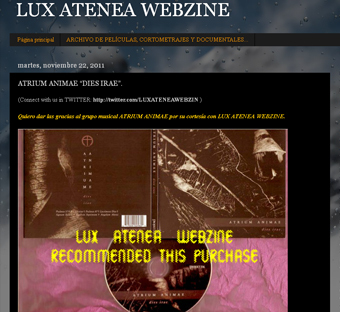 Read the review in the REVIEWS section or on Neuwelt Music. "It's a true masterpiece in portraying many of the moods and feelings of the text and in it's own way there are definitely beautiful facets to the album across each track. For fans of various dark ambient, dark folk, neoclassical and medieval music, this is a true treasure for your collection." Read the review in the REVIEWS section or on Gothic Paradise. "La perfetta produzione eleva ogni traccia al rango di fulgido gioiello, baciato dal gusto compositivo, dall'innegabile classe e dall'abilità tecnica [...]. Applausi." 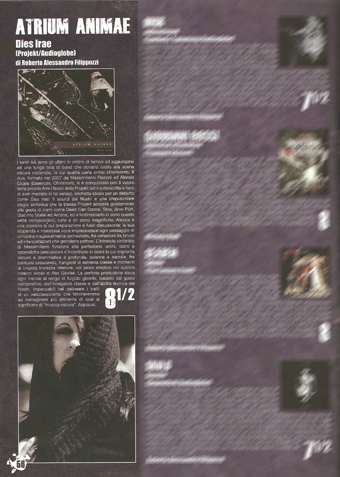 A fantastic review (8,5/10) and an interview on Inferno Rock Magazine n.5 June-July 2011. 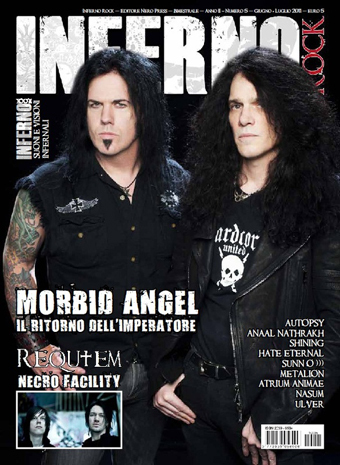 Read the review (in italian) in the REVIEWS section, the interview (in italian)in the INTERVIEWS section, or on Inferno Rock Magazine. [ITA]: L'intervista è ora disponibile anche su Darkroom Magazine. "Dies Irae is a meticulous exercise in a world completely unlike our present one." The Morton Report is the online magazine created by A.D. Morton, a journalist, a notable writer and biographer, known for the biography of Princess Diana. 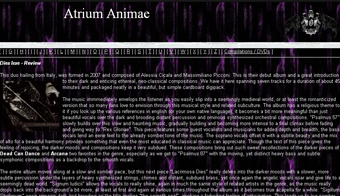 "Atrium Animae is primarily the work of two incredibly skilled individuals, who fully understand the music that they create. Notably, it is one thing to be appreciative of a style. That appreciation shows up in bands that attempt to create in that vein of style. The talent is there, the ability is there." 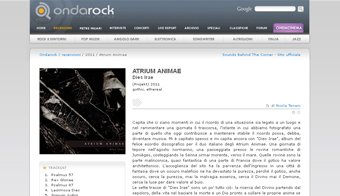 Read the review in italian and english here, in the REVIEWS section or on Onda Rock. 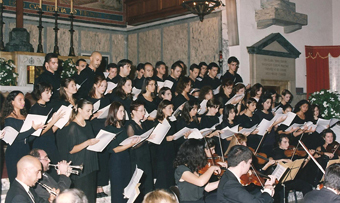 "The choral work from the two main vocal artists is very impressive and the classical music is some of the best in terms of mood. Massimiliano Picconi and leading lady Alessia Cicala have crafted quite the art form out of their work. It is more in depth listening experience, that simply treasure for pleasure." Read the review in the REVIEWS section or on Glasswerk.co.uk. 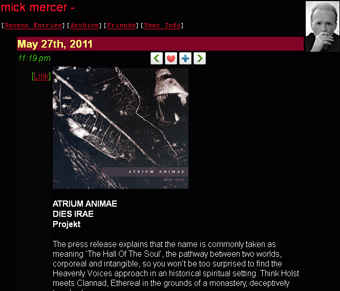 An AMAZING review by Mick Mercer!!! "Mysterious and beguiling heavenly voices in orchestral solitude." Mick Mercer is the longest-running Goth and Post-Punk writer in the world. During the 80s he wrote regularly for the British music weekly Melody Maker. Since then he has had numerous books about Goth and related subjects published. Read the review in the REVIEWS section or on Mick Mercer's Journal. "One of the coolest techniques used on Dies Irae is the intricate layering of vocals, blending multiple tracks of Cicala's operatic voice and weaving it together with different ranges of male vocals. Combined with slow, epic waves of brass and strings, the resulting effect feels like a black cloud passing over a cathedral"
FEARnet is a cable channel, website and Video on Demand television service owned by Horror Entertainment LLC, a joint venture between Comcast, Lions Gate Entertainment, and Sony Pictures Entertainment. 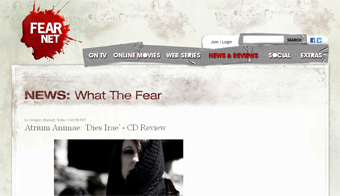 Read the review in the REVIEWS section or on FEARnet. 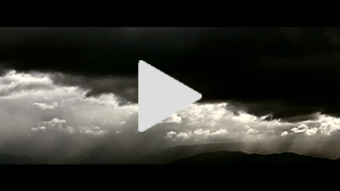 The official video trailer of Atrium Animae's "Dies Irae". 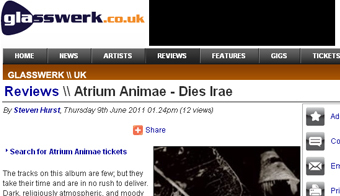 Another amazing review of "Dies Irae", here on Spectra - Decandent Music Website. Read the review in italian and english in the REVIEWS section. 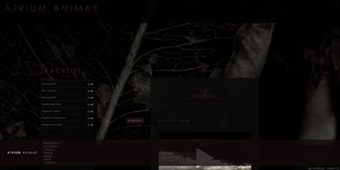 Some beautiful shots of the digipak version of "Dies Irae" are available in the MEDIA section. 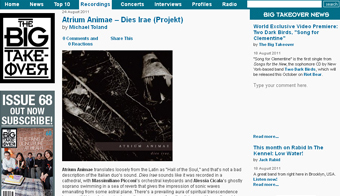 An amazing review of "Dies Irae" on Sounds Behind the Corner. Read the review in italian and english here, in the REVIEWS section. "Dies Irae" is now available on digital download through iTunes and Amazon. 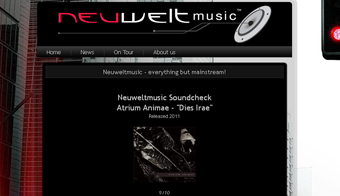 "Dies Irae" is available through Projekt. Click "ADD to CART" to purchase it. 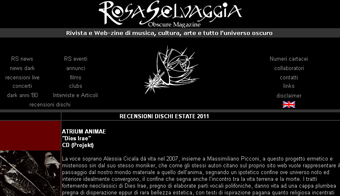 Our new amazing website is now online, always made by Massimiliano. Feel free to send us a feedback! Lacrimosa Dies has been chosen as opening song of the Radio Show "Cinema...Vangeli...Su Re" on Radio RAI Sardegna. "Cinema...Vangeli...Su Re" is a radio show in eleven parts that presents material taken from the backstage of the movie "Su Re" by Giovanni Columbu, plus lectures and music taken from the movies "Vangelo secondo Matteo" by Pierpaolo Pasolini and "Gesù di Nazareth" by Franco Zeffirelli.